Kevin Crompton holding his newest creation “Brainless on Raspberries” This is a belgiun-style ale infused with raspberries, Mikey’s Utah Beer Blog describes it as “A nose of earthy raspberries… the spices and esters of the base Belgian ale. Next comes the dry, subdued raspberry notes that have an almost vinous quality.” Epic’s store is located at 825 S State St.
Kevin Crompton holds up his latest creation, “Brainless on Raspberries,” like a proud father showing off his new baby. It’s a Belgian-style beer aged or “conditioned” in oak barrels producing a fruity raspberry flavored beer. Epic brewery is bursting at the seams. Outside rests dozens of kegs, barrels, and pallets of beer ready to be shipped. Inside is a flurry of activity. Three brewers man the bottling station, three more are handling the mash tonne and two others are transferring wort to the fermentation tanks. The aroma of Epic is enchanting. Rich hops and the smell of boiling malted barley infuse the senses with hope for spring. Inside, customers enthusiastically try the new creations they might have smelled in the store the previous month. Phoenix resident Ed Washburn is here on a ski trip. He came into Epic to get a first-hand look at the brewery that produces one of his favorite new beers. Epic Brewery is an exciting place. Epic has enjoyed amazing success in the past three years, and while the Salt Lake City operation will continue full steam ahead, the next phase of Epic’s expansion will be on the other side of the Rockies where the skiing isn’t as good, and the water isn’t as mineral rich. “We decided we could no longer deal with the uncertainty of knowing that the [liquor] laws that exist today could easily change tomorrow,” said Epic Owner David Cole. He added that Denver (home 13 brewpubs and breweries), greeted Epic’s news with open arms. Epic’s new River North Denver facility will be nearly four times larger than their facility in Salt Lake. 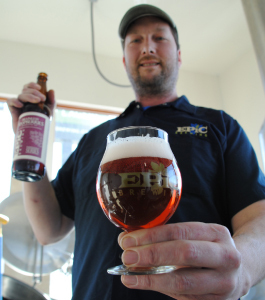 Currently Epic is in the advantageous position of having options, according to head brewer Kevin Crompton. 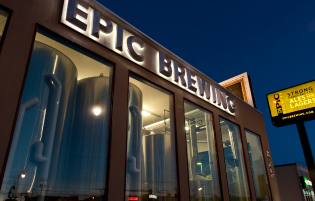 Until they expand and have the ability to brew at a much greater capacity, Epic will focus on supplying their current markets. While this is all great news for the company, as a Utahn, who loves great beer, who loves seeing the growth of this burgeoning industry, I feel a little sad that Epic is investing their $2 million in Denver rather than Salt Lake. Also depressing is the fact there is a bill in the works that would levy even more tax on Utah microbreweries which could result in Utah breweries becoming even less competitive. 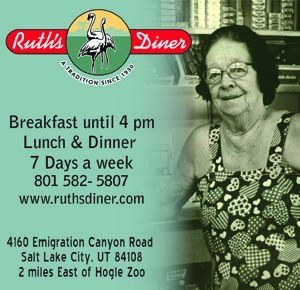 My question is why not help this excellent home-grown Utah business to succeed? Why does it seem that supposedly freedom-loving representatives of our state would much rather hinder and punish our breweries, while at the same time give handouts to corporations that offer call center jobs or big box stores? Gary Herbert and the Utah State Department of Economic Development just awarded 1-800 Contacts $8.8 million in subsidies over the next 15 years because they are expanding in Draper. Sandy gave Scheels over $5 million in subsidies to build in their city. So the State of Utah is willing to hand over huge bucks to provide call center jobs and jobs for the men and women who help you try on your shoes. But jobs for men and women who craft some of the finest beer in the United States? They would rather hurt than help. These brewery jobs offer a far greater opportunity of transitioning into great careers. So why should the State of Utah decide they prefer the call center jobs and smelly feet jobs to jobs in breweries? 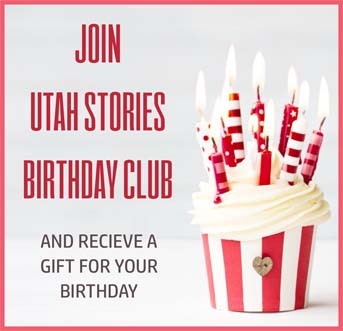 Utah Stories attempted to contact Utah State Senator John Valentine who is sponsoring a bill to raise taxes on microwbreweries, in order to understand his logic. He did not return our phone calls to explain his position.